Note*: He was from St. Georges Hundred, Delaware. [S1] Ruth Bennett, Naudain Family of Delaware (Geneva, Neb. : n.pub., 1941), p. 55. This material is a typescript of "notes" in Ms. Bennett's possession and apparently was originally written and compiled by James W. Lattomus. Copies are with the D.A.R. Library, Washington, D.C., and Roger Bartlett, Austin, Tex., and can be viewed at http://www.rabgenealogy.com/ui53.htm. The notes contain some inconsistencies, and page 45 was missing from the D.A.R. Library copy when it was copied. Note*: He attended the U.S. Military Academy and then studied medicine in Baltimore and Philadelphia. He practiced medicine in Middletown, Delaware. After his wife's death he lived in Wilmington until his death the next year. [S1] Ruth Bennett, Naudain Family of Delaware (Geneva, Neb. : n.pub., 1941), pp. 53, 55, 75-76. This material is a typescript of "notes" in Ms. Bennett's possession and apparently was originally written and compiled by James W. Lattomus. Copies are with the D.A.R. Library, Washington, D.C., and Roger Bartlett, Austin, Tex., and can be viewed at http://www.rabgenealogy.com/ui53.htm. The notes contain some inconsistencies, and page 45 was missing from the D.A.R. Library copy when it was copied. [S720] Dorothy Colburn, comp., Old Drawyers: The First Presbyterian Church in St. George's Hundred (Odessa, Del. : n.pub., 1989), p. 201 (naming Arnold Naudain, M.D. as his father). [S1082] William Henry Egle, Pennsylvania Genealogies, Chiefly Scotch-Irish and German (Harrisburg, Penn. : Harrisburg Pub. Co., 1896), p. 329 (naming Dr. Arnold Naudain as his father). [S720] Dorothy Colburn, comp., Old Drawyers: The First Presbyterian Church in St. George's Hundred, above, pp. 280 (stating that he died on 23 May 1844, "33rd year of age"), 299 (giving only the year), 326 (giving only the year). [S1082] William Henry Egle, Pennsylvania Genealogies, Chiefly Scotch-Irish and German, above, p. 329 (giving the date but not the place). [S720] Dorothy Colburn, comp., Old Drawyers: The First Presbyterian Church in St. George's Hundred, above, pp. 201 (giving only the year), 280, 299 (giving only the year), 326 (giving only the year). [S961] Find A Grave, online at http://www.findagrave.com, memorial for viewed on 3 Apr 2010 (James S. Naudain, memorial no. 14449291). [S720] Dorothy Colburn, comp., Old Drawyers: The First Presbyterian Church in St. George's Hundred, above, pp. 201, 280 (giving her name as Marie Louise and naming James S. Naudain, M.D. as her father). [S720] Dorothy Colburn, comp., Old Drawyers: The First Presbyterian Church in St. George's Hundred, above, pp. 201, 280 (naming James S. Naudain as his father). [S1] Ruth Bennett, Naudain Family of Delaware, above, pp. 93 (naming James S. Naudain as his father), 94 (naming Dr. James Schee Naudain as his father). [S961] Find A Grave, online, above, memorial for viewed on 3 Apr 2010 (James B. Naudain, memorial no. 5086675) (naming Dr. James S. Naudain as his father). [S720] Dorothy Colburn, comp., Old Drawyers: The First Presbyterian Church in St. George's Hundred, above, p. 201 (naming Dr. James S. Naudain as her father). [S720] Dorothy Colburn, comp., Old Drawyers: The First Presbyterian Church in St. George's Hundred (Odessa, Del. : n.pub., 1989), pp. 201, 280 (naming James S. Naudain as his father). [S961] Find A Grave, online at http://www.findagrave.com, memorial for viewed on 3 Apr 2010 (James B. Naudain, memorial no. 5086675) (naming Dr. James S. Naudain as his father). [S961] Find A Grave, online, above, memorial for viewed on 3 Apr 2010 (James B. Naudain, memorial no. 5086675) (naming Anna E. Naudain as his mother). [S720] Dorothy Colburn, comp., Old Drawyers: The First Presbyterian Church in St. George's Hundred, above, pp. 201 (giving only the date and not naming the place), 280 (giving only the date and not naming the place), 299 (giving only the year and not naming the place), 326 (giving only the year and not naming the place). [S1] Ruth Bennett, Naudain Family of Delaware, above, p. 93 (giving the date but not the place). [S961] Find A Grave, online, above, memorial for viewed on 3 Apr 2010 (James B. Naudain, memorial no. 5086675) (giving the date but not the place). [S720] Dorothy Colburn, comp., Old Drawyers: The First Presbyterian Church in St. George's Hundred, above, p. 201 (giving her name as Hannah _____ and not giving the date or place). [S961] Find A Grave, online, above, memorial for viewed on 3 Apr 2010 (James B. Naudain, memorial no. 5086675) (not giving the date). [S720] Dorothy Colburn, comp., Old Drawyers: The First Presbyterian Church in St. George's Hundred, above, pp. 201, 280, 299 (giving only the year), 326 (giving only the year). [S961] Find A Grave, online, above, memorial for viewed on 3 Apr 2010 (James B. Naudain, memorial no. 5086675). [S720] Dorothy Colburn, comp., Old Drawyers: The First Presbyterian Church in St. George's Hundred, above, p. 201 (naming James B. Naudain as her father). [S1] Ruth Bennett, Naudain Family of Delaware, above, pp. 93-94 (naming James Blackston Naudain as her father). [S961] Find A Grave, online, above, memorial for viewed on 3 Apr 2010 (James B. Naudain, memorial no. 5086675) (naming Lydia Naudain as his daughter). [S1] Ruth Bennett, Naudain Family of Delaware (Geneva, Neb. : n.pub., 1941), pp. 55, 76. This material is a typescript of "notes" in Ms. Bennett's possession and apparently was originally written and compiled by James W. Lattomus. Copies are with the D.A.R. Library, Washington, D.C., and Roger Bartlett, Austin, Tex., and can be viewed at http://www.rabgenealogy.com/ui53.htm. The notes contain some inconsistencies, and page 45 was missing from the D.A.R. Library copy when it was copied. [S720] Dorothy Colburn, comp., Old Drawyers: The First Presbyterian Church in St. George's Hundred (Odessa, Del. : n.pub., 1989), p. 200 (naming Arnold Naudain, M.D. as his father). [S720] Dorothy Colburn, comp., Old Drawyers: The First Presbyterian Church in St. George's Hundred, above, p. 200 (giving only the year and not naming the place). [S1082] William Henry Egle, Pennsylvania Genealogies, Chiefly Scotch-Irish and German, above, p. 329 (spelling her middle name as Pennel). [S961] Find A Grave, online at http://www.findagrave.com, memorial for viewed on 3 Apr 2010 (Mary P. Naudain, memorial no. 15035339) (not giving the date). [S720] Dorothy Colburn, comp., Old Drawyers: The First Presbyterian Church in St. George's Hundred, above, p. 200 (stating that the grave was not visible in 1989). [S1082] William Henry Egle, Pennsylvania Genealogies, Chiefly Scotch-Irish and German, above, p. 329 (stating that he died on 8 Mar 1895). [S1] Ruth Bennett, Naudain Family of Delaware, above, p. 76 (providing all information in this note except the 1895 death date). [S720] Dorothy Colburn, comp., Old Drawyers: The First Presbyterian Church in St. George's Hundred, above, pp. 200, 201, 280 (naming Andrew S. Naudain as her father). [S961] Find A Grave, online, above, memorial for viewed on 3 Apr 2010 (Mary Cornelia Naudain, memorial no. 15035350) (naming Andrew S. Naudain as her father). [S720] Dorothy Colburn, comp., Old Drawyers: The First Presbyterian Church in St. George's Hundred, above, p. 200 (naming Andrew S. Naudain as her father). [S720] Dorothy Colburn, comp., Old Drawyers: The First Presbyterian Church in St. George's Hundred (Odessa, Del. : n.pub., 1989), p. 201 (naming Pennell Corbit as her father). [S720] Dorothy Colburn, comp., Old Drawyers: The First Presbyterian Church in St. George's Hundred, above, p. 201 (naming Mary Clark as her mother). [S961] Find A Grave, online at http://www.findagrave.com, memorial for viewed on 3 Apr 2010 (Mary P. Naudain, memorial no. 15035339). [S1082] William Henry Egle, Pennsylvania Genealogies, Chiefly Scotch-Irish and German (Harrisburg, Penn. : Harrisburg Pub. Co., 1896), p. 329 (spelling her middle name as Pennel). [S961] Find A Grave, online, above, memorial for viewed on 3 Apr 2010 (Mary P. Naudain, memorial no. 15035339) (not giving the date). Note*: • Most of her children lived in the Chicago area. [S720] Dorothy Colburn, comp., Old Drawyers: The First Presbyterian Church in St. George's Hundred (Odessa, Del. : n.pub., 1989), p. 200 (naming Arnold Naudain, M.D. as her father). [S1082] William Henry Egle, Pennsylvania Genealogies, Chiefly Scotch-Irish and German (Harrisburg, Penn. : Harrisburg Pub. Co., 1896), p. 329 (naming Dr. Arnold Naudain as her father). [S1] Ruth Bennett, Naudain Family of Delaware (Geneva, Neb. : n.pub., 1941), p. 55 (naming Arnold Naudain as her father). This material is a typescript of "notes" in Ms. Bennett's possession and apparently was originally written and compiled by James W. Lattomus. Copies are with the D.A.R. Library, Washington, D.C., and Roger Bartlett, Austin, Tex., and can be viewed at http://www.rabgenealogy.com/ui53.htm. The notes contain some inconsistencies, and page 45 was missing from the D.A.R. Library copy when it was copied. [S720] Dorothy Colburn, comp., Old Drawyers: The First Presbyterian Church in St. George's Hundred, above, p. 326 (giving only the year). [S961] Find A Grave, online at http://www.findagrave.com, memorial for Rebecca Naudain Alexander, memorial no. 15035362, viewed on 1 Jan 2017. [S1] Ruth Bennett, Naudain Family of Delaware, above, pp. 55, 76. [S720] Dorothy Colburn, comp., Old Drawyers: The First Presbyterian Church in St. George's Hundred, above, p. 326 (giving only the year and not naming the place). [S1367] The Philadelphia Inquirer, Philadelphia, Pa., online at http://www.newspapers.com, 29 Sep 1880, p. 4, col. 1 (erroneously placed under "Married" instead of "Died"). [S961] Find A Grave, online, above, memorial for Rebecca Naudain Alexander, memorial no. 15035362, viewed on 1 Jan 2017 (giving the date but not the place). [S1] Ruth Bennett, Naudain Family of Delaware, above, pp. 55, 76 (giving the date but not the place). [S720] Dorothy Colburn, comp., Old Drawyers: The First Presbyterian Church in St. George's Hundred, above, p. 326. [S1] Ruth Bennett, Naudain Family of Delaware, above, pp. 76-77 (first bullet). [S1] Ruth Bennett, Naudain Family of Delaware, above, p. 55 (second bullet). [S945] H. Franklin Andrews, The Hamlin Family: A Genealogy of Capt. Giles Hamlin of Middletown, Connecticut, 1654-1900 (Exira, Iowa: H. F. Andrews, 1900), p. 242 (naming Rebecca Naudain as her mother). [S1] Ruth Bennett, Naudain Family of Delaware, above, pp. 76-77 (naming Rebecca Ann Naudain as his mother). [S961] Find A Grave, online, above, memorial for Eugene Washington Alexander, memorial no. 116085525, viewed on 1 Jan 2017 (naming Rebecca Naudain Alexander as his mother). [S961] Find A Grave, online, above, memorial for Rebecca Naudain Alexander, memorial no. 15035362, viewed on 1 Jan 2017 (naming Rebecca Naudain Alexander as his mother). Note*: He was from Chicago, Illinois. [S1] Ruth Bennett, Naudain Family of Delaware (Geneva, Neb. : n.pub., 1941), pp. 55, 76-77. This material is a typescript of "notes" in Ms. Bennett's possession and apparently was originally written and compiled by James W. Lattomus. Copies are with the D.A.R. Library, Washington, D.C., and Roger Bartlett, Austin, Tex., and can be viewed at http://www.rabgenealogy.com/ui53.htm. The notes contain some inconsistencies, and page 45 was missing from the D.A.R. Library copy when it was copied. [S1367] The Philadelphia Inquirer, Philadelphia, Pa., online at http://www.newspapers.com, 16 Nov 1883, p. 4, col. 1 (identified as the "late" Hugh Alexander in the death notice for his widow, who died on 16 Nov 1883). [S945] H. Franklin Andrews, The Hamlin Family: A Genealogy of Capt. Giles Hamlin of Middletown, Connecticut, 1654-1900 (Exira, Iowa: H. F. Andrews, 1900), p. 242 (naming Hugh Alexander as her father). [S1] Ruth Bennett, Naudain Family of Delaware, above, pp. 76-77 (naming Hugh Alexander as his father). Death*: She died on 25 December 1910 at age 93. "Mrs. M. N. Hamilton Was Descendant of Huguenots. "Was Daughter of Unites States Senator Naudain—Her Family Centuries Old, and Its Members, After Banishment From France, Were Among America’s Earliest Settlers. "Mrs. Mary Naudain Hamilton, who was the oldest surviving member of the famous Naudain family in Delaware, and whose ancestors were among the Huguenots banished from France, died yesterday at the home of her granddaughter, Mrs. Arthur H. Giles, 1853 Mintwood place, at the age of 93 years. Funeral services will be conducted at the residence in Washington at 5 o’clock tomorrow afternoon, and the body will be taken to her old home, Odessa, Del., for interment. "Mrs. Hamilton was a daughter of the late United States Senator Naudain, who died many years ago, after having served two terms and a part of the third. He became tired of political life and resigned. "After the banishment of the Naudains they came to America. Since the death of Mrs. Hamilton, her daughter, Mrs. E. C. Woodall, of Washington, is the oldest descendant of the French settlers. Less than a quarter of a century after the Naudains came to America, the Hamilton family left Ireland and settled in Delaware. "Resident in Capital 15 Years. "Dr. W. N. Hamilton was for half a century a leading physician of Odessa and was of prominence in Delaware. He died fifteen years ago. Upon the marriage of her granddaughter to Arthur H. Giles, an examiner in the patent office, Mrs. Hamilton removed to Washington, and had since made her home here. She was stricken blind a few years prior to her death. "Mrs. Woodall, her daughter, is a widow. Mrs. Hamilton is also survived by a son, W. N. Hamilton, member of a Baltimore wholesale leather concern. "Mrs. Hamilton was a Presbyterian, a woman of culture, and was versed in public affairs." • "MRS. MARY N. HAMILTON. [S1] Ruth Bennett, Naudain Family of Delaware (Geneva, Neb. : n.pub., 1941), pp. 55, 77. This material is a typescript of "notes" in Ms. Bennett's possession and apparently was originally written and compiled by James W. Lattomus. Copies are with the D.A.R. Library, Washington, D.C., and Roger Bartlett, Austin, Tex., and can be viewed at http://www.rabgenealogy.com/ui53.htm. The notes contain some inconsistencies, and page 45 was missing from the D.A.R. Library copy when it was copied. [S1337] The Evening Journal, Wilmington, Del., online at http://www.newspapers.com, 28 Oct 1910, p. 2, col. 1. [S1353] The Washington Post, Washington, D.C., online at http://www.newspapers.com, 26 Dec 1910, p. 3, col. 5 (first bullet). [S1508] Cecil Whig, Elkton, Md., online at https://www.newspaperarchive.com, 31 Dec 1910, p. 1, col. 2 (under “Recent Deaths”) (second bullet). Note*: He attended school in Dublin and medical school in London and then returned to the United States and earned a diploma from Jefferson College in Philadelphia. He first practiced medicine in New Castle, Delaware and in 1839 moved his practice to Odessa, where he associated with Dr. Waite. In the early 1850's he was resident physician at Fort Delaware and was a sergeant in the First Delaware Regiment and in the Fifth Delaware Cavalry. He was Delaware state auditor, a Republican, and an elder in the Presbyterian Church. From Ruth Bennett's "Naudain Family of Delaware": "Possessing a fund of Irish wit, he told many interesting stories of his experiences in Ireland. He was kind and generous to a fault, honest, affable and genial, and had the admiration and respect of all who knew him." [S961] Find A Grave, online at http://www.findagrave.com, memorial for William Newell Hamilton, memorial no. 67130897, viewed on 7 Aug 2016 (giving the date but not the place). [S1357] Wilkes-Barre Times, Wilkes-Barre, Pa., online at http://www.newspapers.com, 27 Sep 1894, p. 3, cols. 4-5 (obituary of Dr. William N. Hamilton) (not giving the date but stating that he died "the other day"). [S1357] Wilkes-Barre Times, Wilkes-Barre, Pa., above, 27 Sep 1894, p. 3, cols. 4-5. [S1358] The National Tribune, Washington, D.C., online at http://www.newspapers.com, 4 Oct 1894, p. 4, col. 7. Death*: She died on 13 January 1907 at age 86. Family: James Edward Ellis M.D. [S1] Ruth Bennett, Naudain Family of Delaware, above, p. 77 (naming Elizabeth Riddle Naudain as his mother). Note*: He was from West Chester, New York. [S1] Ruth Bennett, Naudain Family of Delaware, above, p. 77 (naming James C. Ellis, M.D. as his father). Other Names*: Catharine Louisa Naudain Hamilton, Catharine Naudain Hamilton, Catharine Louisa Hamilton, Catharine Hamilton. [S1] Ruth Bennett, Naudain Family of Delaware (Geneva, Neb. : n.pub., 1941), pp. 55, 78. This material is a typescript of "notes" in Ms. Bennett's possession and apparently was originally written and compiled by James W. Lattomus. Copies are with the D.A.R. Library, Washington, D.C., and Roger Bartlett, Austin, Tex., and can be viewed at http://www.rabgenealogy.com/ui53.htm. The notes contain some inconsistencies, and page 45 was missing from the D.A.R. Library copy when it was copied. [S1082] William Henry Egle, Pennsylvania Genealogies, Chiefly Scotch-Irish and German (Harrisburg, Penn. : Harrisburg Pub. Co., 1896), p. 327 (naming Dr. Arnold Naudain as her father). [S1082] William Henry Egle, Pennsylvania Genealogies, Chiefly Scotch-Irish and German, above, pp. 327 (giving the date and place), 329 (giving the date but not the place). [S1082] William Henry Egle, Pennsylvania Genealogies, Chiefly Scotch-Irish and German, above, p. 327. [S1344] Harrisburg Telegraph, Harrisburg, Pa., online at http://www.newspapers.com, 11 Sep 1883, p. 1, col. 2. [S1082] William Henry Egle, Pennsylvania Genealogies, Chiefly Scotch-Irish and German, above, pp. 327-30 (naming Catharine Louisa Naudain as his mother). [S949] The Sons of the American Revolution, New York State Society: 1893-94 (New York, N.Y.: Republic Press, 1894), p. 130 (naming Catherine Louise Naudain as his mother). [S1344] Harrisburg Telegraph, Harrisburg, Pa., above, 8 Oct 1923, p. 1, col. 8 (obituary of Dr. Hugh Hamilton) (naming Catherine Louisa Naudain as his mother). [S1082] William Henry Egle, Pennsylvania Genealogies, Chiefly Scotch-Irish and German, above, pp. 327-30 (naming Catharine Louisa Naudain as her mother). [S1] Ruth Bennett, Naudain Family of Delaware, above, p. 78 (naming Catharine Louisa Naudain as his mother). [S1344] Harrisburg Telegraph, Harrisburg, Pa., above, 8 jul 1907, p. 4, col. 3 (obituary of Naudain Hamilton) (naming Catharine Louisa Naudain as his mother). Adam Boyd Hamilton, courtesy of "Ray" on www.findagrave.com. "Death of One of the Oldest Citizens of Harrisburg. "An attack of paralysis Tuesday evening resulted last night shortly before midnight in the death of A. Boyd Hamilton at his residence, 815 Walnut street. A change for the worse occurred about 8 o’clock last evening and he sank rapidly. "Adam Boyd Hamilton was born in Harrisburg, September 18th, 1808, son of Hugh Hamilton, who was a son of Capt. John Hamilton and of Rosanna Boyd, only child of Adam Boyd. Both these ancestors were purchasers of property in 1785, both erected substantial brick mansions, and both died and are buried here. The subject of this notice received his first school training under Messrs. Graham and Smith, at Second and Mulberry streets. Charles Still, Maginnes, Birkman, Hamilton, Tod and Davies. Most of his time was devoted to picking up the trade of printer in his father’s establishment, the Harrisburg Chronicle. At this early period two late chief justices of the Supreme Court of Pennsylvania, Messrs. Lewis and Thompson, were employed there, as well as many other gentlemen who rose to social and political positions. Having been carefully trained as a printer, after leaving the Harrisburg Academy he was appointed to a position in the engineer corps of the Juniata division of the State works, under DeWitt Clinton, jr., as chief. The partner of his father having died, he returned to Harrisburg and became partner in the Chronicle, where he continued until that paper was disposed of to other parties. He was chosen, when scarcely of voting age, one of the printers to the Legislature. After spending a couple of years in a business venture in the South, he returned to Harrisburg, and shortly after was appointed to a position at Washington city. He resigned to take control of the Pennsylvania Reporter, at Harrisburg; after a year or two he was unanimously chosen assistant clerk of the Senate, resigning that, and becoming joint partner in the Pennsylvanian at Philadelphia with Mifflin, Parry, Joseph Neal, J. W. Forney and S. D. Patterson. When that venture was closed he became, under the contract law, printer to both houses of Congress, and at the repeal of that law, which carried his contract with it, came to Pennsylvania. Again he became printer to the State until 1861, when he retired from that business and became an agriculturist. 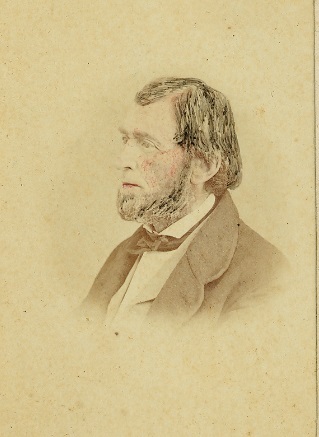 He held many municipal offices—a school director for twelve years; president of the Select Council, and one of the Commissioners of 1860, and of a commission in 1870 to make a plot of the city of Harrisburg; president of the Pennsylvania State Agricultural Society, the Dauphin County Society; a trustee of the Harrisburg Academy, secretary of the Board of Managers of the Harrisburg Hospital from the first meeting on the subject in 1872, president of the Board of Trustees of Derry Presbyterian Church; trustee of the Harrisburg Public Library, and the only president of the Dauphin County Historical Society since its formation. "In historical work Mr. Hamilton furnished numerous contributions to the history of Dauphin county. He prepared a series of sketches on “Middletown-on-the-Susquehanna,” besides several valuable pamphlets, biographical and genealogical. Later in life he was full of interesting reminiscences, and having a most excellent memory, these were very entertaining. Born in the city of Harrisburg and residing here nearly his entire life, with the exception of a period of about fifteen years which was passed in Philadelphia and Washington, he was well acquainted with all the leading characters and representative men at the State Capital. Mr. Hamilton was twice married. His first wife was Catharine Louisa Naudain, daughter of Dr. Arnold Naudain, of New Castle county, Delaware. She died September 11th, 1883, in Harrisburg, at the age of 60 years, and their children who reached maturity were Howard and Dr. Hugh, twins, the former of whom died in Philadelphia in 1887. The latter, Dr. Hugh Hamilton, is a prominent physician of this city. The youngest child is Naudain, of this city. Mr. Hamilton married secondly, in 1888, Isabella Moore Hays daughter of Samuel Wallace Hays, who survives. "Mr. Hamilton was exceedingly active during the centennial celebration of the city and was helpful in arranging the splendid antiquarian exhibit which, under the direction of State Librarian Egle and himself, was a feature of that great anniversary occasion. • His Find A Grave memorial, which includes considerable biographical information, is here. [S1082] William Henry Egle, Pennsylvania Genealogies, Chiefly Scotch-Irish and German (Harrisburg, Penn. : Harrisburg Pub. Co., 1896), pp. 322-24 (naming Hugh Hamilton as his father). [S961] Find A Grave, online, above, memorial for Adam Boyd Hamilton, memorial no. 139486266, viewed on 29 Jun 2016 (naming Rosanna Boyd as his mother). [S1082] William Henry Egle, Pennsylvania Genealogies, Chiefly Scotch-Irish and German, above, pp. 324 (giving the date but not the place), 327 (giving the date and place). [S961] Find A Grave, online, above, memorial for Adam Boyd Hamilton, memorial no. 139486266, viewed on 29 Jun 2016 (giving the month and year but no other information). [S1082] William Henry Egle, Pennsylvania Genealogies, Chiefly Scotch-Irish and German, above, p. 330. [S961] Find A Grave, online, above, memorial for Adam Boyd Hamilton, memorial no. 139486266, viewed on 29 Jun 2016. [S1344] Harrisburg Telegraph, Harrisburg, Pa., online at http://www.newspapers.com, 31 Oct 1896, p. 1, col. 2. [S1344] Harrisburg Telegraph, Harrisburg, Pa., above, 29 Oct 1896, p. 1, col. 6. [S1082] William Henry Egle, Pennsylvania Genealogies, Chiefly Scotch-Irish and German, above, pp. 327-28. [S1082] William Henry Egle, Pennsylvania Genealogies, Chiefly Scotch-Irish and German, above, pp. 327-30 (naming Adam Boyd Hamilton as his father). [S949] The Sons of the American Revolution, New York State Society: 1893-94 (New York, N.Y.: Republic Press, 1894), p. 130 (naming Adam Boyd Hamilton as his father). [S1344] Harrisburg Telegraph, Harrisburg, Pa., above, 8 Oct 1923, p. 1, col. 8 (obituary of Dr. Hugh Hamilton) (naming A. Boyd Hamilton as his father). [S1082] William Henry Egle, Pennsylvania Genealogies, Chiefly Scotch-Irish and German, above, pp. 327-30 (naming Adam Boyd Hamilton as her father). [S1] Ruth Bennett, Naudain Family of Delaware, above, p. 78 (naming Adam Boyd Hamilton as his father). [S1344] Harrisburg Telegraph, Harrisburg, Pa., above, 8 jul 1907, p. 4, col. 3 (obituary of Naudain Hamilton) (naming A. Boyd Hamilton as his father). Other Names*: Lydia Frazier Naudain Cowgill, Lydia Naudain Cowgill, Lydia Frazier Cowgill, Lydia Cowgill. Note*: She and her husband, Clayton, were first cousins. She was described as "an accomplished, cheerful Christian woman and a devoted wife and mother." [S1382] Adams Sentinel, Gettysburg, Pa., online at http://www.newspapers.com, 20 Sep 1847, p. 5, col. 2. [S1082] William Henry Egle, Pennsylvania Genealogies, Chiefly Scotch-Irish and German, above, p. 329 (stating that she died in Florida on 17 Nov 1871). [S1086] Mays-Cole-Simpkins Cemetery, online http://www.co.putnam.fl.us/PALATKA/Cemeteries/MAYS/…, viewed on 1 Jul 2006. [S1081] Benjamin H. Shoemaker, Genealogy of the Shoemaker Family of Cheltenham, Pennsylvania (Philadelphia, Penn. : B. H. Shoemaker, 1903), p. 307 (naming Lydia Naudain as her mother). Marriage*: He married Mrs. Sarah Troupe Babb after 1871. Years Ago He Was a Well-Known Physician in Dover. DOVER, Del., Feb. 4 .—Clayton A. Cowgill, many years ago a practicing physician here, died on February 2 at the residence of his son-in-law, Edward H. Wilson, Baring street, West Philadelphia. He was about 72 years old. He was formerly a resident here, where he practiced medicine successfully for twelve or fifteen years before the civil war. Possessed of superior mental faculties, highly cultivated, he applied himself assiduously to the study of his profession and his remarkable skill in the treatment of diseases, his devotion to his patients and agreeable personalty, was rewarded by a large and lucrative practice. The only diversion from the duties of his profession was in 1853, when he was elected clerk of the House of Representatives and served with remarkable alertness and ability through the session. In 1862 Dr. Cowgill gave up his practice in Dover to accept an appointment as surgeon in the United States army, and was soon afterwards assigned to hospital duty at Newbern [sic], N. C., where he remained until the close of the war, when on account of the delicate condition of his wife’s health, he purchased a place on St. John’s river, near Pilatka, and removed to Florida. Dr. Cowgill was appointed comptroller of the State of Florida, and was a member of the canvassing board that declared the vote of that state in favor of Hayes, in the Hayes-Tilden contest for President in 1877. He was twice married—his first wife, Mrs. Lydia Naudain Cowgill, was the daughter of Dr. Arnold Naudain, at one time United States senator from Delaware. She died in Florida, leaving a son, who spent most of his life in South America, and two daughters, both of whom are married. Dr. Cowgill’s second wife survives him. Of this marriage there are no children. After the funeral services in Philadelphia on Tuesday morning the remains will be brought to Dover and interred in the family lot at the cemetery. Dr. C. A. Cowgill of Putnam county, Fla., died February 2 at his former home in Delaware. Note*: He was from Dover, Delaware. He and his wife, Lydia, were first cousins. He was a surgeon in the Civil War, which impaired his health, and in 1867 moved to Florida, where he bought a plantation on the St. John River at Orange Mills. He served as Florida state comptroller after Lydia died. He and his second wife, Sarah, lived in Tallahassee. [S961] Find A Grave, online at http://www.findagrave.com, memorial for Dr. Clayton A. Cowgill, memorial no. 7596895, viewed on 8 May 2017. [S961] Find A Grave, online, above, memorial for Dr. Clayton A. Cowgill, memorial no. 7596895, viewed on 8 May 2017 (giving the year but no other information). [S1383] Evening Star, Ocala, Fla., online at http://www.newspapers.com, 12 Feb 1901, p. 2, col. 3 (giving the date and stating that he died at "his former home in Delaware"). [S1340] The Morning News, Wilmington, Del., online at http://www.newspapers.com, 5 Feb 1901, p. 6, col. 4 (obituary of Dr. Clayton A. Cowgill). [S1340] The Morning News, Wilmington, Del., above, 5 Feb 1901, p. 6, col. 4 (first bullet). [S1337] The Evening Journal, Wilmington, Del., online at http://www.newspapers.com, 5 Feb 1901, p. 3, col. 3 (second bullet). [S1383] Evening Star, Ocala, Fla., above, 12 Feb 1901, p. 2, col. 3. [S1081] Benjamin H. Shoemaker, Genealogy of the Shoemaker Family of Cheltenham, Pennsylvania (Philadelphia, Penn. : B. H. Shoemaker, 1903), p. 307 (naming Dr. Clayton C. Cowgill as her father). [S720] Dorothy Colburn, comp., Old Drawyers: The First Presbyterian Church in St. George's Hundred (Odessa, Del. : n.pub., 1989), pp. 200, 280 (naming Arnold Naudain, M.D. as her father). [S720] Dorothy Colburn, comp., Old Drawyers: The First Presbyterian Church in St. George's Hundred, above, p. 200 (stating that she "She may have married _____ Ellis.ay have married an Ellis"). [S720] Dorothy Colburn, comp., Old Drawyers: The First Presbyterian Church in St. George's Hundred, above, pp. 200 (giving only the year), 280, 299 (giving only the year), 325 (giving only the year). [S720] Dorothy Colburn, comp., Old Drawyers: The First Presbyterian Church in St. George's Hundred, above, p. 280 (naming Arnold Naudain, M.D. and Mary Naudain as her grandparents and indicating that Caroline Amelia Naudain was her mother). Birth*: She was born on 16 November 1819 in Snowland (Naudain's Landing), near Leipsic, Kent County, Delaware. Death*: She died on 18 December 1893 at age 74. Note*: She was described as "a consistent Christian, charitable without ostentation, quiet and lovable in disposition and devoted to her home." [S1] Ruth Bennett, Naudain Family of Delaware (Geneva, Neb. : n.pub., 1941), pp. 60-61 (quoting from McCarter & Jackson, "Historical and Biographical Encyclopedia of Delaware" (1882)), 78-79. This material is a typescript of "notes" in Ms. Bennett's possession and apparently was originally written and compiled by James W. Lattomus. Copies are with the D.A.R. Library, Washington, D.C., and Roger Bartlett, Austin, Tex., and can be viewed at http://www.rabgenealogy.com/ui53.htm. The notes contain some inconsistencies, and page 45 was missing from the D.A.R. Library copy when it was copied. Birth*: He was born in Delaware. Note*: He was from Philadelphia, Pennsylvania. He was a merchant in Leipsic, Delaware for many years and served a term as Prothonotary of Kent County. About 1855 he moved to Philadelphia, where he carried on the general commission business for many years. Birth*: He was born on 17 March 1821. Death*: He died on 4 September 1821. [S1] Ruth Bennett, Naudain Family of Delaware (Geneva, Neb. : n.pub., 1941), pp. 60-61 (quoting from McCarter & Jackson, "Historical and Biographical Encyclopedia of Delaware" (1882)). This material is a typescript of "notes" in Ms. Bennett's possession and apparently was originally written and compiled by James W. Lattomus. Copies are with the D.A.R. Library, Washington, D.C., and Roger Bartlett, Austin, Tex., and can be viewed at http://www.rabgenealogy.com/ui53.htm. The notes contain some inconsistencies, and page 45 was missing from the D.A.R. Library copy when it was copied. Birth*: He was born on 28 January 1823. Birth*: He was born on 2 July 1824. Birth*: He was born on 22 March 1829 in Snowland (Naudain's Landing), near Leipsic, Kent County, Delaware. Marriage*: He married Esther Virginia Magee on 27 January 1859. Burial*: Interment was in Mount Moriah Cemetery, 62nd and Kingsessing Avenue, Philadelphia, Philadelphia County, Pennsylvania. Note*: • His Find A Grave memorial states that he was born in 1825 in Delaware, but it includes a photograph of his tombstone, which gives 22 Mar 1829 as his birth date. [S1] Ruth Bennett, Naudain Family of Delaware (Geneva, Neb. : n.pub., 1941), pp. 60-61 (quoting from McCarter & Jackson, "Historical and Biographical Encyclopedia of Delaware" (1882)), 79. This material is a typescript of "notes" in Ms. Bennett's possession and apparently was originally written and compiled by James W. Lattomus. Copies are with the D.A.R. Library, Washington, D.C., and Roger Bartlett, Austin, Tex., and can be viewed at http://www.rabgenealogy.com/ui53.htm. The notes contain some inconsistencies, and page 45 was missing from the D.A.R. Library copy when it was copied. [S1367] The Philadelphia Inquirer, Philadelphia, Pa., online at http://www.newspapers.com, 29 Sep 1880, p. 4, col. 3 (giving the date but not the place). [S961] Find A Grave, online at http://www.findagrave.com, memorial for James M. Naudain, memorial no. 128883562, viewed on 1 Jan 2017. [S1] Ruth Bennett, Naudain Family of Delaware, above, pp. 96 (naming James M. Naudain as her father), 97 (naming James Meillechamp Naudain as her father). Death*: She died in Castle Hall, Caroline County, Maryland. Burial*: Interment was in Hardcastle graveyard, Castle Hall, Caroline County, Maryland. Marriage*: She married James Meillechamp Naudain, son of Maj. Elias Naudain and Margaret Pettigrew Meillechamp, on 27 January 1859. Note*: She was from Kent County, Delaware. [S1] Ruth Bennett, Naudain Family of Delaware (Geneva, Neb. : n.pub., 1941), pp. 60, 79. This material is a typescript of "notes" in Ms. Bennett's possession and apparently was originally written and compiled by James W. Lattomus. Copies are with the D.A.R. Library, Washington, D.C., and Roger Bartlett, Austin, Tex., and can be viewed at http://www.rabgenealogy.com/ui53.htm. The notes contain some inconsistencies, and page 45 was missing from the D.A.R. Library copy when it was copied. [S1] Ruth Bennett, Naudain Family of Delaware, above, p. 97 (naming Esther Magee as her mother). Birth*: He was born on 3 April 1831 in Snowland (Naudain's Landing), near Leipsic, Kent County, Delaware. Marriage*: He married Carolyn Virginia Ten Eyck, daughter of Samuel Ten Eyck, on 29 November 1867. Note*: After graduating from the University of Pennsylvania on his 21st birthday, he located at West Farms, New York (now part of New York City), where he took over the practice of his uncle, Andrew Naudain, when he died in 1864. Arnold practiced medicine there until his death. [S1] Ruth Bennett, Naudain Family of Delaware (Geneva, Neb. : n.pub., 1941), pp. 60-61 (quoting from McCarter & Jackson, "Historical and Biographical Encyclopedia of Delaware" (1882)), 79-80. This material is a typescript of "notes" in Ms. Bennett's possession and apparently was originally written and compiled by James W. Lattomus. Copies are with the D.A.R. Library, Washington, D.C., and Roger Bartlett, Austin, Tex., and can be viewed at http://www.rabgenealogy.com/ui53.htm. The notes contain some inconsistencies, and page 45 was missing from the D.A.R. Library copy when it was copied. [S1169] The New York Times, New York, N.Y., 18 Apr 1899, p. 9, col. 6 (obituary of Dr. Arnold Naudain). [S1169] The New York Times, New York, N.Y., 18 Apr 1899, p. 9, col. 6. Marriage*: She married _____ Chesebro before 1857. Marriage*: She married Arnold Naudain M.D., son of Maj. Elias Naudain and Margaret Pettigrew Meillechamp, on 29 November 1867. Death*: She died on 28 November 1917 in New York, New York. Note*: Arnold was her second husband. Birth*: She was born on 15 December 1835. Other Names*: Catharine Naudain Hardcastle, Catharine Hardcastle, Katharine Naudain Hardcastle, Katharine Hardcastle. Scrapbook*: "Fifty Years of Wedded Life. Obituary*: "HARDCASTLE.—On June 17, 1911, at the residence of her son, Alexander Hardcastle, Jr., 1217 John street, MRS. KATHARINE NAUDAIN HARDCASTLE, widow of the late Dr. Alexander Hardcastle, of Denton, Md. • Her Find A Grave memorial, which includes her obituary and pictures of her tombstone, is here. [S1] Ruth Bennett, Naudain Family of Delaware (Geneva, Neb. : n.pub., 1941), pp. 60-61 (quoting from McCarter & Jackson, "Historical and Biographical Encyclopedia of Delaware" (1882)), 80. This material is a typescript of "notes" in Ms. Bennett's possession and apparently was originally written and compiled by James W. Lattomus. Copies are with the D.A.R. Library, Washington, D.C., and Roger Bartlett, Austin, Tex., and can be viewed at http://www.rabgenealogy.com/ui53.htm. The notes contain some inconsistencies, and page 45 was missing from the D.A.R. Library copy when it was copied. [S961] Find A Grave, online at http://www.findagrave.com, memorial for Catherine Louisa 'Kate' Naudain Hardcastle, memorial no. 8898816, viewed on 3 Jul 2016. [S1365] The Sun, Baltimore, Md., online at http://www.newspapers.com, 18 Jun 1911, p. 6, col. 8 (obituary of Mrs. Katharine Naudain Hardcastle) (not giving the date but describing her as the widow of the late Dr. Alexander Hardcastle). [S961] Find A Grave, online, above, memorial for Catherine Louisa 'Kate' Naudain Hardcastle, memorial no. 8898816, viewed on 3 Jul 2016 (giving the date and city but not the place). [S1365] The Sun, Baltimore, Md., above, 18 Jun 1911, p. 6, col. 8 (obituary of Mrs. Katharine Naudain Hardcastle). [S1350] Denton Journal, Denton, Md., online at http://www.newspapers.com, 3 Aug 1907, p. 5, col. 7. [S1365] The Sun, Baltimore, Md., above, 18 Jun 1911, p. 6, col. 8. [S1365] The Sun, Baltimore, Md., above, 10 Jul 1940, p. 19, col. 1 (obituary of Alexander Hardcastle) (naming Catherine Naudain Hardcastle as his mother). "Caroline’s Most Venerable Physician Passes Away—His Career. "Dr. Alexander Hardcastle, Caroline county’s most venerable physician and a highly esteemed citizen of Denton, died at his home at an early hour Tuesday morning. He had been in feeble health for several years, but to the delight of his relatives and numerous friends his sufferings were not great and he maintained throughout his ever-happy spirit and cheerfulness. This was a source of real pleasure to all. About three days before his death he himself discovered that pleurisy and pneumonia were coming upon him. Owing to his age the encroachments of these diseases could not be stayed, and with his dear ones and friends about him, he passed away. Many are grieved at his demise. He enjoyed the real friendship and affection of hosts of friends. "The funeral was held at the home yesterday afternoon. Rev. E. P. Roberts, pastor of the M. E. Church, assisted by Rev. A. N. Ward, of the M. P. Church, and Rev. J. Gibson Gantt, of Christ Church, officiated. Interment took place in Denton cemetery. The pallbearers were Messrs. E. H. Simons, Herbert Simons and Laird Simons, of Philadelphia, and John E. Wilson, William P. Manlove, Richard T. Carter, J. Dukes Downes and Ormond W. Downes, of this county. "Dr. Hardcastle was born at Castle Hall, in the First district, on January 2, 1826. Here also his father, Hon. William M. Hardcastle, was born on December 2, 1778, dying there in the ninety-sixth year of his age. The first of the Hardcastles to arrive in this country settled near Denton, and several well-known estates were established by them. One of the most notable of these was Castle Hall, a fine old mansion built about the time of the close of the Revolutionary War. Dr. Hardcastle’s grandfather, Captain Thomas Hardcastle, was the builder. For more than a century a splendid hospitality was dispensed at this pleasant and inviting homestead. From his fourth year the subject of this sketch attended school at Castle Hall, but from his fifteenth to his twentieth year he was instructed by a private tutor. He then entered the office of Dr. Griffin W. Goldsborough, at Greensboro. In 1847 he entered Jefferson Medical College, Philadelphia, and also studied in the office of Professor Mutter. His aim was to fit himself for the post of surgeon in the army. He graduated in March, 1849. His father desired his presence at home and his assistance at Castle Hall, and the army life was, therefore, in deference to parental request, given up, although it appeared to him to be very inviting. For many years he practiced in the First district and in adjacent territory, and conducted the great farm and cared for his parents. Dr. Hardcastle was one of the first farmers to grow peaches heavily. At one time he had thirteen thousand trees in bearing. Some years were very profitable with this fruit, notably in 1878, when the shipments from Castle Hall were exceedingly heavy. Note*: After graduating from Jefferson Medical College in Philadelphia and passing the exams necessary to become an army surgeon, he acceded to his father's request and returned to Castle Hall to practice medicine. He also ran the 1200-acre Castle Hall plantation, where he grew peaches on a large scale. In 1890 he moved to Denton, Maryland and practiced there until his death. He was described as "a man of strong character, a progressive citizen [who] for many years took a prominent part in all County and State affairs." • His Find A Grave memorial, which includes an obituary and his picture, is here. [S961] Find A Grave, online at http://www.findagrave.com, memorial for Dr. Alexander 'Alex' Hardcastle, Sr., memorial no. 8898812, viewed on 3 Jul 2016. [S1350] Denton Journal, Denton, Md., above, 28 Jan 1911, p. 5, col. 4. [S1365] The Sun, Baltimore, Md., above, 10 Jul 1940, p. 19, col. 1 (obituary of Alexander Hardcastle) (naming "Dr. Alexander" as his father). Birth*: He was born on 6 November 1838 in Snowland (Naudain's Landing), near Leipsic, Kent County, Maryland. Marriage*: He married Martha J. Shinn on 19 February 1887. Death*: He died on 6 April 1911 at age 72. Note*: From Ruth Bennett's "Naudain Family of Delaware," p. 80: "While yet a boy or very young man, he secured a position with Homer, Colladay & Co., who, at that time, were the leading retail dry goods merchants of Philadelphia. He worked his way up and for many years had charge of the silk department, receiving what was then considered a phenominal [sic] salary. He continued in the mercantile business until about 1908, when he retired having purchased a home in Atlantic City. He was a good business man, upright in all his dealings and a consistent member and elder in the Presbyterian Church." Marriage*: She married Elias Naudain, son of Maj. Elias Naudain and Margaret Pettigrew Meillechamp, on 19 February 1887. [S1] Ruth Bennett, Naudain Family of Delaware (Geneva, Neb. : n.pub., 1941), pp. 60, 80. This material is a typescript of "notes" in Ms. Bennett's possession and apparently was originally written and compiled by James W. Lattomus. Copies are with the D.A.R. Library, Washington, D.C., and Roger Bartlett, Austin, Tex., and can be viewed at http://www.rabgenealogy.com/ui53.htm. The notes contain some inconsistencies, and page 45 was missing from the D.A.R. Library copy when it was copied. Birth*: She was born on 26 March 1843. Marriage*: She married M. Laird Simons on 17 November 1870. Other Names*: Margaret Naudain Simons, Margaret Simons. [S1] Ruth Bennett, Naudain Family of Delaware (Geneva, Neb. : n.pub., 1941), pp. 60-61 (quoting from McCarter & Jackson, "Historical and Biographical Encyclopedia of Delaware" (1882)), 80-81. This material is a typescript of "notes" in Ms. Bennett's possession and apparently was originally written and compiled by James W. Lattomus. Copies are with the D.A.R. Library, Washington, D.C., and Roger Bartlett, Austin, Tex., and can be viewed at http://www.rabgenealogy.com/ui53.htm. The notes contain some inconsistencies, and page 45 was missing from the D.A.R. Library copy when it was copied. [S1355] Evening Ledger, Philadelphia, Pa., online at http://www.newspapers.com, 26 May 1915, p. 12, col. 6. [S1] Ruth Bennett, Naudain Family of Delaware, above, pp. 80-81 (naming Margaret Naudain as his mother). Marriage*: He married Margaret Naudain, daughter of Maj. Elias Naudain and Margaret Pettigrew Meillechamp, on 17 November 1870. Note*: He was a newspaper editor from Philadelphia, Pennsylvania. [S1] Ruth Bennett, Naudain Family of Delaware, above, pp. 80-81 (naming M. Laird Simons as his father). Other Names*: Sarah Naudain, Sadie Greer Naudain, Sadie Naudain. Obituary*: “MISS SARAH G. NAUDAIN. Note*: • She died from heart disease after several years' illness. During the last ten years of her life, she lived with a nephew, Alexander Hardcastle, in Baltimore. She was a member of Brown Memorial Presbyterian Church. [S961] Find A Grave, online at http://www.findagrave.com, memorial for viewed on 3 Apr 2010 (Sarah Greer Naudain, memorial no. 8898820) (giving the year but not the day). [S1365] The Sun, Baltimore, Md., online at http://www.newspapers.com, 14 Aug 1920, p. 7, col. 3 (obituary of Miss Sarah G. Naudain) (stating that she was born in Delaware; not giving the date but stating that she was seventy-three years old when she died on 13 Aug 1920). [S1] Ruth Bennett, Naudain Family of Delaware, above, p. 60 (giving the date but no other information). [S961] Find A Grave, online, above, memorial for viewed on 3 Apr 2010 (Sarah Greer Naudain, memorial no. 8898820). [S961] Find A Grave, online, above, memorial for viewed on 3 Apr 2010 (Sarah Greer Naudain, memorial no. 8898820) (giving the year but no other information). [S1365] The Sun, Baltimore, Md., above, 14 Aug 1920, p. 7, col. 3 (obituary of Miss Sarah G. Naudain). [S1365] The Sun, Baltimore, Md., above, 14 Aug 1920, p. 7, col. 3. [S1365] The Sun, Baltimore, Md., above, 14 Aug 1920, p. 7, col. 3 (obituary of Miss Sarah G. Naudain) (first bullet). [S1350] Denton Journal, Denton, Md., online at http://www.newspapers.com, 24 Aug 1945, p. 2, col. 2 ("Twenty-Five Years Ago This Week"). • His 1882 biography from Encyclopedia of Delaware is here. [S721] Encyclopedia of Delaware (Wilmington, Del. : Aldine Pub. & Engraving Co., 1882), n. p. (biography of Dr. James Jones) (naming James Jones as his father). [S721] Encyclopedia of Delaware (Wilmington, Del. : Aldine Pub. & Engraving Co., 1882), n. p. (biography of Dr. James Jones) (naming Susanna Jones as his mother). [S721] Encyclopedia of Delaware (Wilmington, Del. : Aldine Pub. & Engraving Co., 1882), n. p. (biography of Dr. James Jones). [S1] Ruth Bennett, Naudain Family of Delaware (Geneva, Neb. : n.pub., 1941), p. 61 (quoting from McCarter & Jackson, Historical and Biographical Encyclopedia of Delaware (1882)). This material is a typescript of "notes" in Ms. Bennett's possession and apparently was originally written and compiled by James W. Lattomus. Copies are with the D.A.R. Library, Washington, D.C., and Roger Bartlett, Austin, Tex., and can be viewed at http://www.rabgenealogy.com/ui53.htm. The notes contain some inconsistencies, and page 45 was missing from the D.A.R. Library copy when it was copied. Marriage*: She married Dr. Elias Woodruff. Other Names*: Martha Eddowes Rood, Martha Rood. • Her Find A Grave memorial, which includes pictures of the family burial plot, is https://www.findagrave.com/memorial/147077851/martha-rood;here. [S1] Ruth Bennett, Naudain Family of Delaware (Geneva, Neb. : n.pub., 1941), pp. 61-62 (naming John Eddowes as her father). This material is a typescript of "notes" in Ms. Bennett's possession and apparently was originally written and compiled by James W. Lattomus. Copies are with the D.A.R. Library, Washington, D.C., and Roger Bartlett, Austin, Tex., and can be viewed at http://www.rabgenealogy.com/ui53.htm. The notes contain some inconsistencies, and page 45 was missing from the D.A.R. Library copy when it was copied. [S961] Find A Grave, online at http://www.findagrave.com, memorial for Martha Eddowes Rood, memorial no. 147077851, viewed on 25 Dec 2017. [S175] Supposition as to marriage, based on burials in same family plot. [S961] Find A Grave, online, above, memorial for Martha Eddowes Rood, memorial no. 147077851, viewed on 25 Dec 2017 (giving the year but no other information). Marriage*: She married Thomas Beebe. Marriage*: She married _____ Beebe. Marriage*: She married _____ Brown. Marriage*: He married Anna Eddowes, daughter of John Eddowes and Lydia Naudain. Burial*: Interment was in Greenwood Cemetery, Galena, Jo Daviess County, Illinois. • His Find A Grave memorial, which includes pictures from the family burial plot, is here. [S961] Find A Grave, online at http://www.findagrave.com, memorial for James Rood, memorial no. 147077830, viewed on 25 Dec 2017. [S1360] The Chicago Tribune, Chicago, Ill., online at http://www.newspapers.com, 13 Jan 1937, p. 14, col. 2 (obituary of Louise Rood). [S1360] The Chicago Tribune, Chicago, Ill., above, 13 Jan 1937, p. 14, col. 2 (obituary of Louise Rood) (naming James Rood as her father). Marriage*: He married Catharine Eddowes, daughter of John Eddowes and Lydia Naudain. Note*: He was from Chicago. Marriage*: He married Emma Eddowes, daughter of John Eddowes and Lydia Naudain. Note*: He was from Galena, Illinois. Marriage*: He married Lydia Eddowes, daughter of John Eddowes and Lydia Naudain.